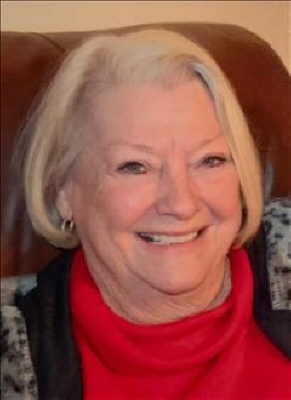 Linda Mosley Coleman, age 78 of Talking Rock, Georgia passed away Friday, January 11, 2019 at Grandview Health Center. Survivors include: children, Brad and Debbie Coleman, Todd and Lynn Coleman, Julie Coleman, Mitchell Coleman; grandchildren, Leslie and Sarandy Gaitanoglou, Jacob and Courtney Coleman, Lauren and Matt Davis, Cana Coleman; great-grandchildren, Gracie, Noah, and Luke Gaitanoglou, Kayleigh and Madelyn Coleman; sisters-in-law, Janis Mosley, Winnie Mosley, and Joni Mosley. She was preceded in death by her husband, Bill Coleman and her parents, Don and Esteen McGhee Mosley. Graveside Services will be held 2:00 p.m., Sunday, January 20, 2019 at Whitestone Baptist Church Cemetery. The family will be receiving friends at Roper Funeral Home Saturday, January 19, 2019 from 3:00 p.m. until 8:00 p.m. The family requests in lieu of flowers, donations be made to Whitestone Baptist Church Cemetery Fund in care of Deryl Hyde; 53 Cripple Creek Lane; Ellijay, Gerogia 30536. To send flowers or a remembrance gift to the family of Linda Mosley Coleman, please visit our Tribute Store. "Email Address" would like to share the life celebration of Linda Mosley Coleman. Click on the "link" to go to share a favorite memory or leave a condolence message for the family.